Austin Thomas is a cultural producer and artist who is interested in making connections between current art-making practices and art historical ideas. 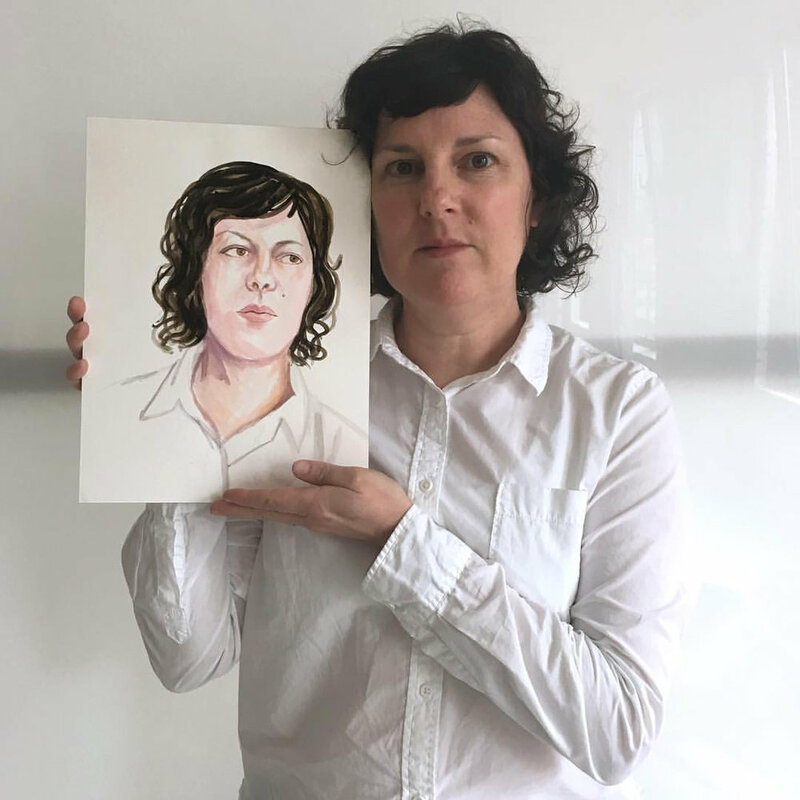 Thomas views the world around her as a creative space and utilizes her sketchbook as a portable studio that she fills with drawings and collages. ECoCA is proud to introduce its second A.I.R. 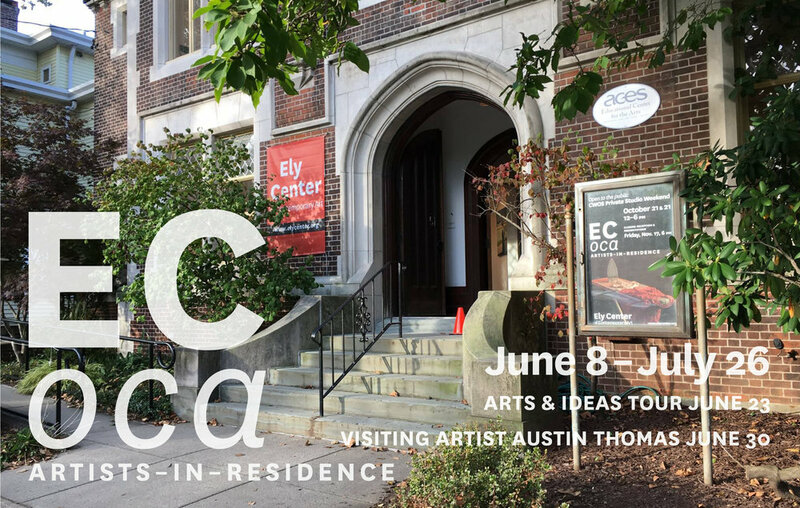 workspace program which reinforces our mission to reaffirm Grace Ely’s testamentary wishes for an art center where artists, arts organizations and the public assemble, exchange, learn, and engage through exhibitions, performances, and emerging contemporary practice. Join the EC0CA mailing list to receive updates about programming. For complete information on the upcoming Closing Party, download the Press Release.